Just to join the praise for this committed and principled MP who died this week. 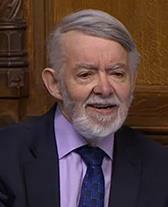 Paul Flynn became my MP in Newport West in 1987. I didn’t vote for him. I would never vote Labour and certainly less likely to given the events of this week. Paul was a campaigner. He had intellectually robust views and then devoted his time and energy in campaigning for them. I was fortunate to meet Paul twice. In Islington, on March 1st 2016 for a St. David’s Day dinner, when I was the Liberal Democrat Mayor of the Borough. And a few months later, back in Newport when I attended an event at the Mansion House. He remembered me, or at least politely gave the impression of remembering me. He was a charming, warm and caring man. Motivated by doing good, independent thinking and a campaigner for real change.